Beverly J. Stake 88 of Burchard, Nebraska passed away on November 28, 2018, in Pawnee City. She was born on October15, 1930, at the Beatrice Mennonite Hospital to the late Jerry and Julia (Novotny) Kozak. She attended Virginia School until 1944 and graduated from Filley High School in 1948. After graduating, she attended St. Elizabeth School of Nursing in Lincoln and was capped as a nurse. She then graduated from Draughn’s Business College in Lubbock, Texas in 1951. She was united in marriage to Albert L. Stake at the Christian Church in Virginia, on June 5, 1953, and moved to a farm east of Burchard. To this union three children were born Bradley, Susan and Shawn. 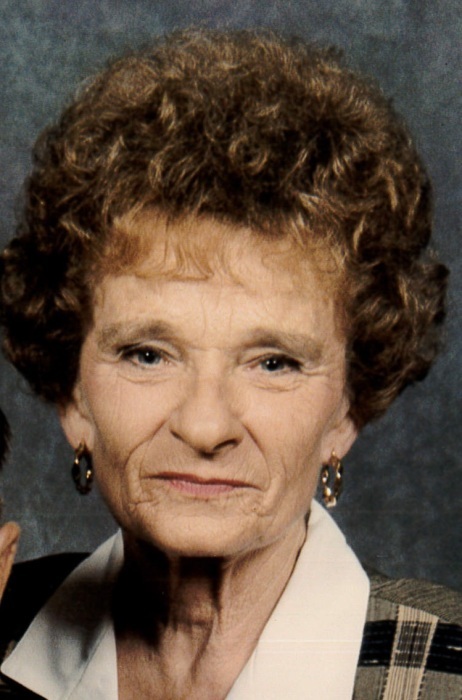 Beverly was a caring and active member of the community. She belonged to the United Methodist Church, the Worthwhile Extension Club and was 60 - year member of the Order of the Eastern Star. She worked at the Pawnee County Clerk Office, the Pawnee Manor, and for 12 years at Earl May in Beatrice. She is preceded in death by her husband Albert, her parents Jerry and Julia Kozak, her sister Naomi and brother-in-law Kenneth Wright, William and Mary Stake, sister-in-law Wilmetta (Stake) Mack, brother-in-law Richard Stake and wife Patricia, and brother-in-law Ellis Stake. She is survived by her son Brad (Beverly Kay) Stake, and daughters Susan and Shawn Stake. Grandchildren include: Brandon (Julie) Stake, Samantha (Matt) Selig, Jessica (Jason) Drager, Sara (Michael) McElroy, Jamie Vondracek, Lillian and Gabrielle Stake; Great-Grandchildren Lucy and Nora Selig, Candace and Hazel Stake; nieces and nephews, and a host of dear cousins and friends. Funeral services will be at 10:00 a.m., Saturday, December 1, 2018 at Harman-Wright Mortuary, 623 Elk Street, Beatrice. Interment will follow services at Evergreen Home Cemetery, Beatrice. Memorials to family choice. Visitation will be held 12:00 to 8:00 p.m. Friday with the family greeting friends from 4:00 to 6:00 p.m. Friday. www.harmanwrightmortuary.com Harman-Wright Mortuary, Beatrice in charge of arrangements.